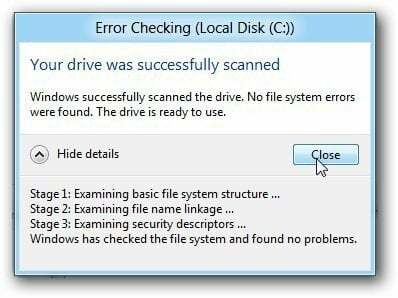 If your hard drive starts acting up on your Windows system, a good place to start troubleshooting is running a Disk Error Check. Windows 8 now has and extra option included. Here’s how to use it. 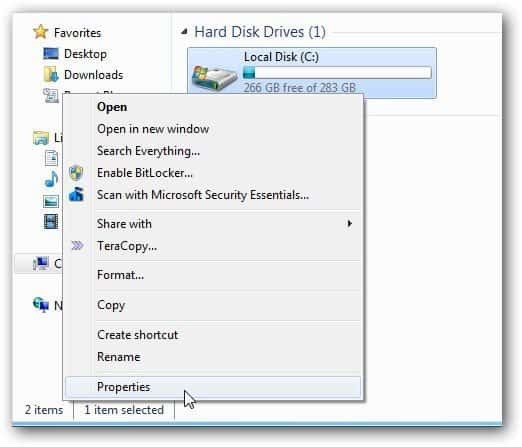 Open Computer on your Windows 8 system. 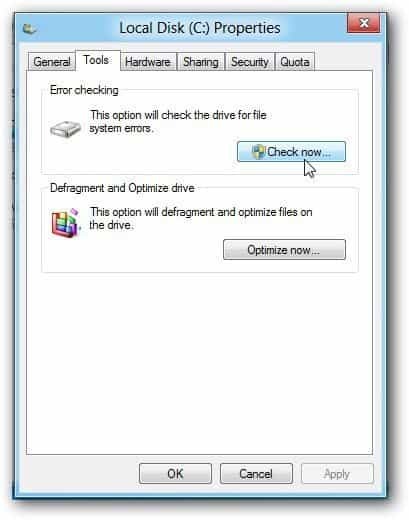 Right click on the drive causing problems and go to Properties. Disk Properties opens. Click the Tools tab then click the Check Now button. Now you get two options. The first one is Scan Drive. This lets you work while the disk for errors while you continue to multitask on your system. Then the system starts checking for disc errors. When it’s finished, you’ll get a small generalized report…groovy! No errors found. The second is Scan and Repair that works the way it has since XP. 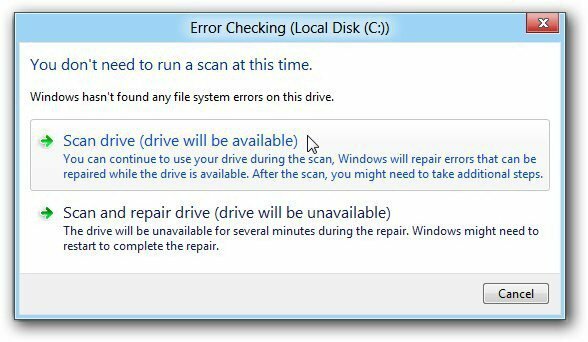 You won’t be able to use your computer while the drive is checked for errors and they’re repaired. 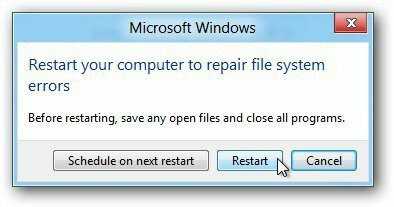 Then you can schedule the scan and repair to initiate on your next restart or just go ahead and restart now. Then as Windows 8 is restarting, it starts a scan and repair of hard drive sectors. 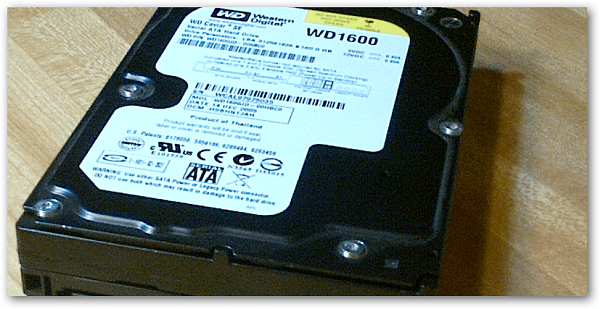 If I were having major issues with my hard drive I would use the second method which is tried and true. It starts checking the disc before any part of the OS is running. This would yield better results. I ‘m not sure how well the first new method will work yet, but since Windows 8 Consumer Review is coming out at the end of this month, we’ll have plenty of time to test it all out. Is my Files and All my installed program, setting will lost? This does not work for me as the CRC is on an external drive and I did not get the mentionned button and check boxes.It does not recognize the drive.